3125a-2, CENTER CAP USED, '91, FORD, CROWN VICTORIA. PLASTIC GUN METAL GRAY, LACY SPOKE EDGE, BLUE FORD OVAL, CHROME FORD WORD, 6-1/2" DIA. 73678b, CENTER CAP USED, 04-08, INFINITY, FX SERIES, GUN METAL FINISH WITH RAISED CHROME LOGO, 8 RAISES TO MATCH SPOKES, 5 PLASTIC CLIPS & WIRE RING, FOR 20", 8 SPOKE ALUM RIM. 73678b, Used Rims, 20X8, 5 LUG, 4-1/2", 04-08, INFINITY, FX SERIES, GUN METAL FINISH, 8 SPOKE ALUM. 73678b, Used Rims, 20X8, 5 LUG, 4-1/2", 04-08, INFINITY, FX SERIES, GUN METAL FINISH, 8 SPOKE ALUM. RIM COMES A=PAINTED BEIGE FINISH-B= PAINTED LIGHT SILVER-C= CHROME. 9118, USED RIM, 17X7-1/2, 5 LUG, 5", '13, JEEP, WRANGLER, RUBICON, ALUM, 10 SLOT, POLISHED LIP, GUN METAL SPOKE & POCKET. 9118, USED RIM, 17X7-1/2, 5 LUG, 5", 13, JEEP, Wrangler, Rubicon, ALUM, 10 SLOT, POLISHED LIP, GUN METAL SPOKE & POCKET. 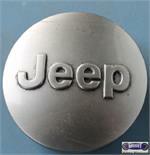 9136/9118, CENTER CAP USED, 14-15, JEEP, GRAND CHEROKEE, GUN METAL, RAISED WORD JEEP, PLASTIC CLIPS & WIRE RING, 2-1/2" DIA. Price: ORDER UNDER 9118 CENTER CAP.